Aromatherapy Properties:A pale yellow liquid with a sweet-spicy odor and a fruity-fresh top note. It blends well with rose, lavender, vanilla, clary sage, bergamot, bay, allspice, and ylang-ylang. Spiritual Uses: Clove bud has long been used for magickal protection, for removing impurity, and for inviting abundance. These spiritual uses are reflected by the current scientific belief that clove bud contains one of the highest concentrations of antioxidants of any known biological substance. Clove bud carries an innate strength, which can inspire action and confidence. 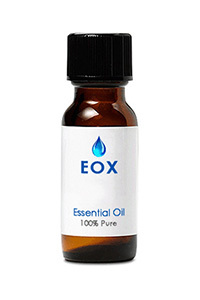 Blends well with: Cinnamon, Eucalyptus, Rosemary, and Lemon for an antiseptic blend that will kill airborne bacteria. Also blends well with Lavender, Ylang Ylang, Bergamot, and Vanilla. History: Until modern times, clove plants were found only on a few of the Moluccas Islands (known as the Spice Islands). However, archaeologists have also found cloves in Syria, in a ceramic vessel that dates to approximately 1721 BCE. Clove was prized in the ancient world: as a breath freshener in China, and as a spice in the Roman Empire. It was so valued as a trade commodity that the Spanish sought new routes to the Moluccas Islands, so as not to trespass on Portuguese routes when obtaining the precious plant. During the 17th and 18th centuries in Great Britain clove buds were worth at least their weight in gold due to the incredible expense of importing them to the country.